Great content creators are made, not born. It takes a mix of a well-chosen topic, smart content strategy, attention to craft, and lots of personality. Then, as Rosanna Pansino would say, just Put it all together! Ro Pansino’s YouTube cooking show Nerdy Nummies has millions of fans of all ages. Where else are you going to learn how to make Super Mario cake pops? In this episode, I look into this ultra popular channel to unlock why it works — and I talk about a too-common strategy that works poorly (if ever) in the new world of content. Sonia Simone: Greetings, superfriends! 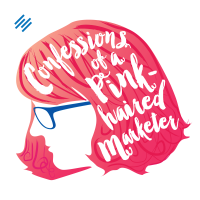 My name is Sonia Simone and these are the Confessions of a Pink-Haired Marketer. For those who don’t know me, I’m a co-founder and the chief content officer for Rainmaker Digital. It’s Things I Love / Things I Hate day! 🙂 Today I’m going to talk about a content creator who has created something really nifty, and I’ll try to unpack some of the elements that are making it work. Then I’ll talk about how to Do It Wrong — in a way I see all the time. This is a YouTube channel featuring Rosanna Pansino. It’s a YouTube cooking show, teaching how to make snacks and treats on different nerdy themes. So if you want to make a Minecraft birthday cake for that special someone? A Harry Potter butterbeer milkshake? Emoji waffles? Pacman popsicles? Ro is the one who’ll show you how. She made a Star Trek Voyager cake with guest Neil deGrasse Tyson. Who was wearing an Occupy Mars t-shirt. Seriously, gang, it doesn’t get more epic than that. BTW, NDGT is also an epic content marketer of ideas — I wrote about him on Copyblogger, and I’ll give you a link in the show notes. I heart him. 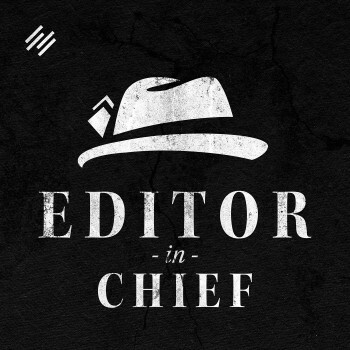 First, this is a fantastic idea for a content channel. It’s a cooking show — video tutorials are always going to do well. People like to see how to do stuff. Then it’s got that niche twist — the “nerdy” theme, that can be taken so many different places. This happens to be a niche that is part of a community — if you think about businesses like ThinkGeek, or RedBubble which makes t-shirts — we have this self-identified community that likes to buy things related to the tribe. It’s an ecosystem. But sometimes people think “authority” means something stiff or stuffy, when in fact it’s the opposite. The strongest authority comes from someone who looks like you, likes the things you like, shares your values, but knows how to do something you don’t know how to do yet. This is what people miss when they say silly things like “Millennials don’t value authority.” Of course they do — it’s just that their authority looks a little different. If you think about this very podcast — I have this regular section, Things I Like / Things I Hate. That’s a very out-there expression, because at Copyblogger we like to be meta, we love to show you what we’re doing as we do it. But think about that for your audience and your content. The more you write about your take on things — what you love, and possibly what you’re not a fan of, the closer you bring people to you. It’s memorable. To use Seth Godin’s favorite word, it’s remarkable, it creates conversations, just like I told you just now about the Star Trek Voyager cake with NDGT. Third, although with 6 million subscribers, she’s probably doing well with advertising, she doesn’t rely on advertising alone to generate revenue. This kind of tutorial content lends itself to affiliate links to the tools and products, and she includes lots of them. She also has a cookbook out, which is kind of neat. With content, for example the professional YouTubers, people sometimes things that ads are the only way to “monetize.” Think business model, rather than monetization. On the web, advertising is a really tough way to make a living until you have monster traffic. Look for another way you can add value that will give a bigger payout. Communities and courses can be really good for this. You have free tutorial content, then you have a private course. At first, think small, rather than some kind of massive comprehensive undertaking. Think a workshop, rather than a university. Even if the tiniest sliver of your audience goes for it, you’re about 10,000 times ahead of the game over advertising. Fourth, she takes it seriously. She does a good job. The explanations are clear, the videos are well-done. This isn’t thrown together, in fact my guess is that it takes her a lot of time. She publishes weekly, unlike a lot of professional YouTubers who post daily or several times a day. That gives her time to come out with something that’s more evergreen and produced at a higher level. This one isn’t really a “hate,” more like I hate to see people waste their time with this kind of content because it’s never going to go anywhere. Fairly regularly on the blog or on Twitter or LinkedIn, we’ll get someone who says, “I’m generating high-quality content and I’m not getting results.” And I click through and see something right out of the content marketing paint-by-numbers manual. I think there are some so-called “gurus” who are teaching this, and it just flat out doesn’t work, and every year it works even worse. If you have a site like this and it is working, that’s great, but don’t assume it’s going to continue forever. The landscape will catch up with you. The site creator might be working hard, but there’s no evidence of any creativity, no personal voice, no connection with the audience, no values, no spark, no spice. I call this Cream of Wheat content. It’s just a bland, inoffensive mush. These sites are boring. And boring content will kill you. Please remember: You’re never going to be able to beat Wikipedia at the boring, useful content game. They have it sewn up and they probably will forever. If they lose their spot some day … it’s not going to be to you. “High-quality” doesn’t only mean factual or useful — it has to be interesting. Now in a very niche topic, you can sometimes get away with boring — but why take that risk? Why not bake some “interesting” in there now, to protect yourself against the scrappy, energetic competitor who’s thinking about your topic right now? The thing about “interesting” is that it always makes the pie bigger. You can have one defined topic, but 10 or 20 or 100 or 5000 different personalities that talk about it. In competitive topics, increasingly I think differentiating by voice and personality is a must-do, especially if you’re not already an authority in the space. One of my longtime favorite posts on this was written by Sugar Rae Hoffman, How to Survive the Affiliate Evolution. This post is nearly nine years old, and she called it then … and it’s still relevant. I’ll get you a link in the show notes. Rae is also a brilliant example of bringing a distinctive voice to her content and her business. She’s not like anyone else … and everything she does shows her personality. Also relevant is the combination that Brian Clark pointed us to years ago, the combination of meaning and fascination. It has to be useful and interesting. One without the other tends to spin your wheels without ever getting traction. So that’s today’s session — think about what you could learn from Rosanna Pansino about being more interesting, about creating something genuinely memorable. Could you sharpen your topic the way she did, so you really speak within a defined ecosystem? Does your content have personality? Are you taking it seriously and producing something that will endure?